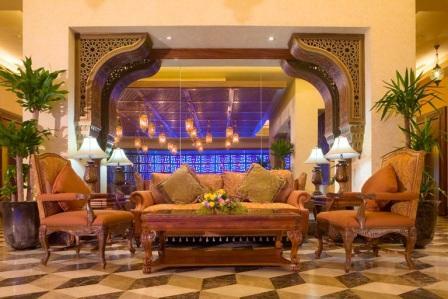 The hotel has 1300 rooms with elegance and style. 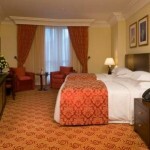 The rooms are equipped with all means of comfort including controlled air conditioning, direct dial telephone with voicemail, hi-tech television with satellite channels, personal safe and high-speed internet access. 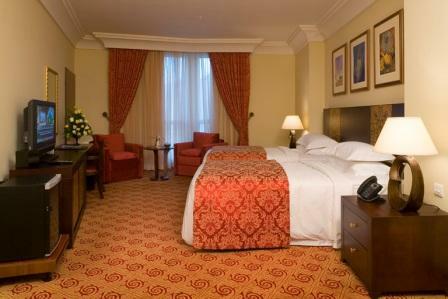 Most rooms are overlooking the Holy Kaaba, offering spiritual atmosphere for seekers of God’s praise. 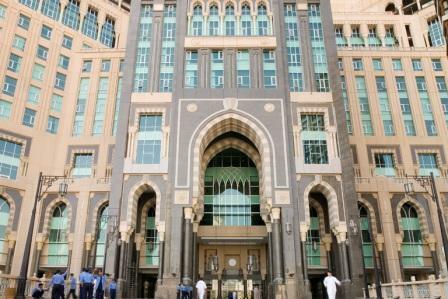 The hotel is located in front of the Holy Mosque and is designed to combine both exquisite architecture and proximity to the Haram. 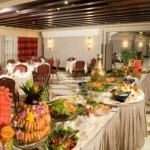 Al Zahra – an elegant restaurant serving Middle-Eastern, Continental and International buffet along with a la carte menu. 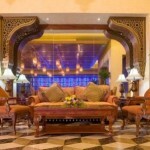 Al Yasmin – serves oriental dishes in an Arabian ambience. 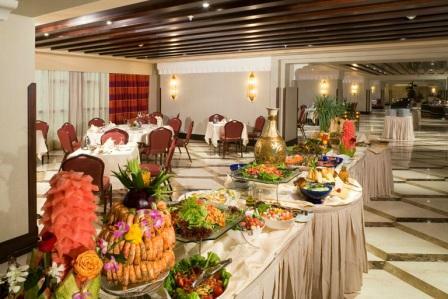 Tea Garden – serves light snacks, hot and cold beverages. The Business Centre has the most advanced facilities and state of the art equipment, offering comprehensive range of secretarial and translation services, high speed internet, fax, photocopying and binding facilities. We also have a board room equipped with hi-tech audio visual equipment for holding business meetings.